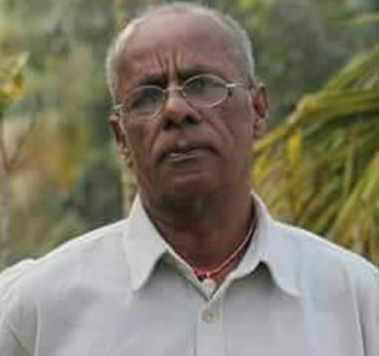 A publisher of poetry and ‘freethought’ texts, who openly identified as atheist, has been shot dead in Bangladesh. According to reports, four men riding two motorcycles rushed the tea stall at Kakaldi where Shahzahan was sitting around 6:30pm local time, opening fire on him before fleeing away on the same vehicles. Shahzahan was killed on the spot. Police said: “We came to know that he was an online activist and free thinking writer and had a publishing house. We are yet to ascertain whether it was an extremist attack. But we have been investigating keeping all aspects in mind”. These threats came in the context of several earlier attacks, sometimes fatal, on humanists and freethinkers in Bangladesh, which IHEU has reported and campaigned on extensively. As detailed in the IHEU Freedom of Thought Report chapter on Bangladesh, these attacks included in 2015 alone the murders of Avijit Roy, Washiqur Rahman, Ananto Bijoy Das, and Shahzahan’s friend Niloy Neel days before the threats to Shahzahan were published. Today’s murder of Shahzahan Bachchu is not even the first attack on secular publishers in the country. At the end of October 2015, there were two further coordinated attacks, this time on freethinking publishing houses in Dhaka. These attacks left publisher Faysal Arefin Dipon dead and publisher Ahmed Rashid Tutul seriously injured. Tutul has since left the country. Other targets have included secular activists and LGBT publishers. Various government official including the prime minister Sheikh Hasina have blamed the attacks on atheists criticizing religion, and threatened prosecution under the ICT Act, which criminalizes “hurting religious sentiments”. IHEU has consistently called on the Bangladesh government to stop blaming the victims and to bring the perpetrators of the murders to justice.